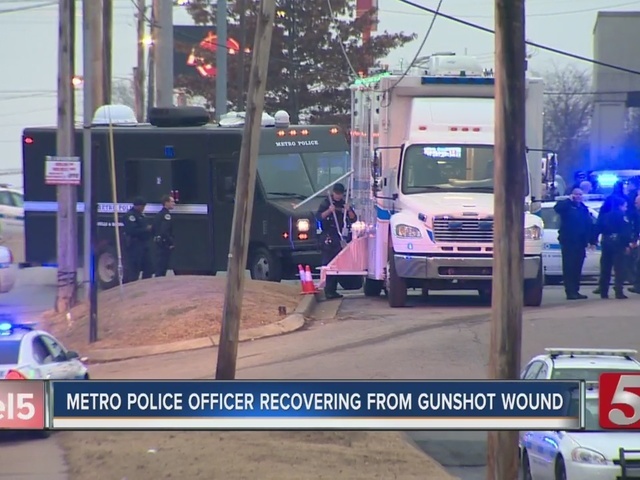 The suspect who shot a police officer with a shotgun before turning the weapon on himself has been identified as 43-year-old Paul Hardesty. According for officials at the Metro Nashville Police Department, Hardesty came under Tennessee parole supervision from New York in March 2016. Hardesty was found dead of an apparent self-inflicted gunshot wound after allegedly shooting an East Precinct officer in the shoulder. Officials said Officer McBride and another officer were reacting to a tip around 5:30 a.m. Tuesday that a suspect with active warrants was holed up at the Cumberland Inn on West Trinity Lane. The tip indicated there was possible drug activity in the room and a robbery being planned. A woman answered when the officers knocked on the door for room 104. She let them in and said no one else was in the room. They immediately saw obvious drug activity inside, made entry and began searching the rest of the room. Metro Police Chief Steve Anderson said Hardesty was hiding behind a closed door to the bathroom with a shotgun. When the officers opened the bathroom door, investigators said the suspect opened fire, striking Officer McBride. Officers returned fire and exited the room. 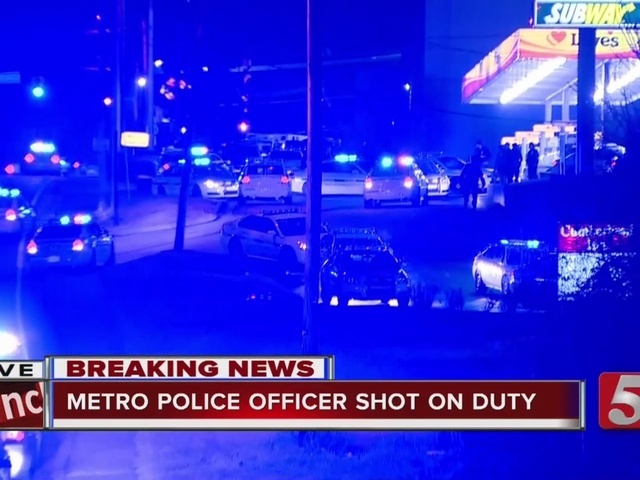 When the suspect fired on officers, the woman who was with him turned and fled the scene. Officials with the police department released the radio calls from the incident. McBride can be heard yelling "I'm hit. I'm hit in the shoulder." A command center was established at the nearby Love's convenience store while investigators assessed the situation and called in reinforcements. "It looked chaotic. When I drove up I saw about 50 police cars," said one witness. 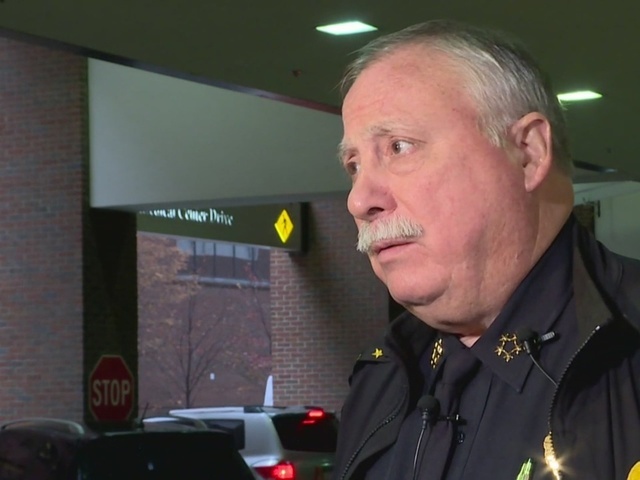 Chief Anderson described Officer McBride's wound as a serious left-shoulder injury. Officer McBride was transported by ambulance to Vanderbilt University Medical Center with non-life threatening injuries. He was listed in stable condition. By all indications, Hardesty remained barricaded inside the room. SWAT crews and negotiators were called to the location. It was described as an "active scene" until the status of the suspect could be established. Officers could be heard over a megaphone telling the suspect to come out unarmed and with his hands up, and he would not be harmed. Guests were evacuated from both floors of the Cumberland Inn. Police were eventually able to enter the room, where they found the suspect dead in the bathroom of an apparent self-inflicted shot to the head. Officers at Cumberland Inn attempting to arrest shooter. Over two dozen police vehicles were on the scene. West Trinity Lane was closed in both directions from the Interstate 24 to Dickerson Pike. Officials advised drivers to find alternate routes. Police believed the suspect was wanted on warrants out of New York, but were still working to confirm those details. Details about Hardesty's criminal background was not available.